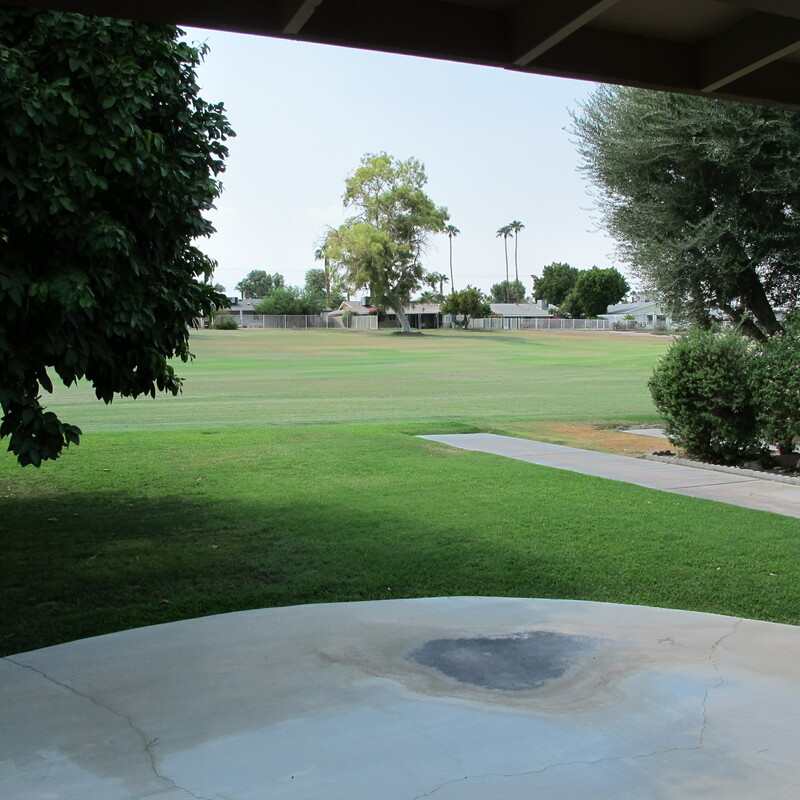 This meticulously maintained single level 2 bedroom (1 en suite), 2 bathroom home is situated on the lush, green championship course at Palm Desert Country Club in Palm Desert. The kitchen has been remodeled and there are dual paned windows and doors throughout. 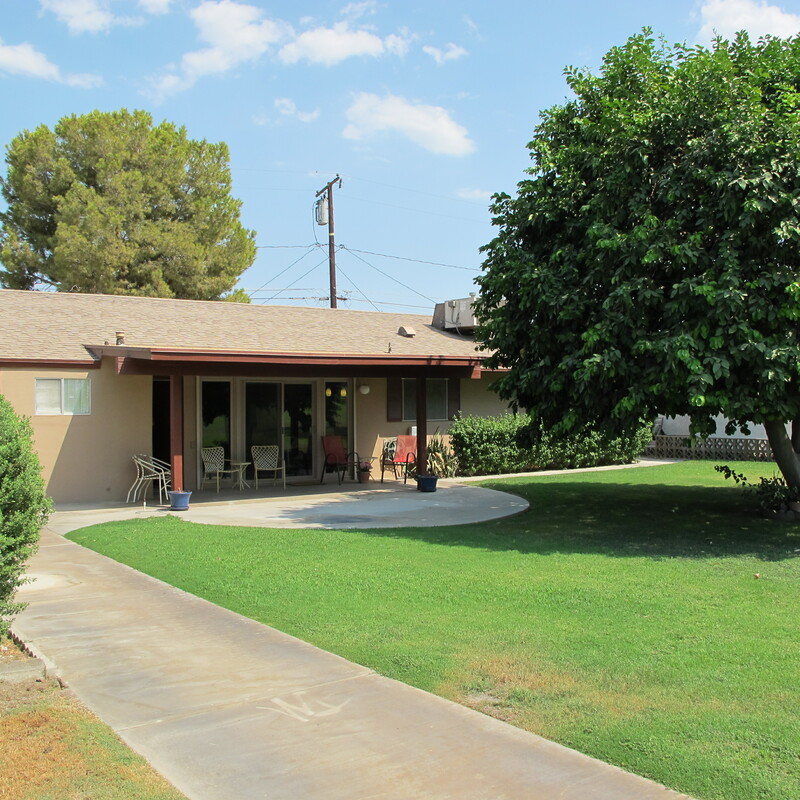 The covered back patio enjoys the afternoon shade of the well-maintained, mature grapefruit tree and accesses the laundry room (with stackable washer and gas dryer, work sink and storage cabinets) and air-conditioned garage. Gardener is included in the rent. 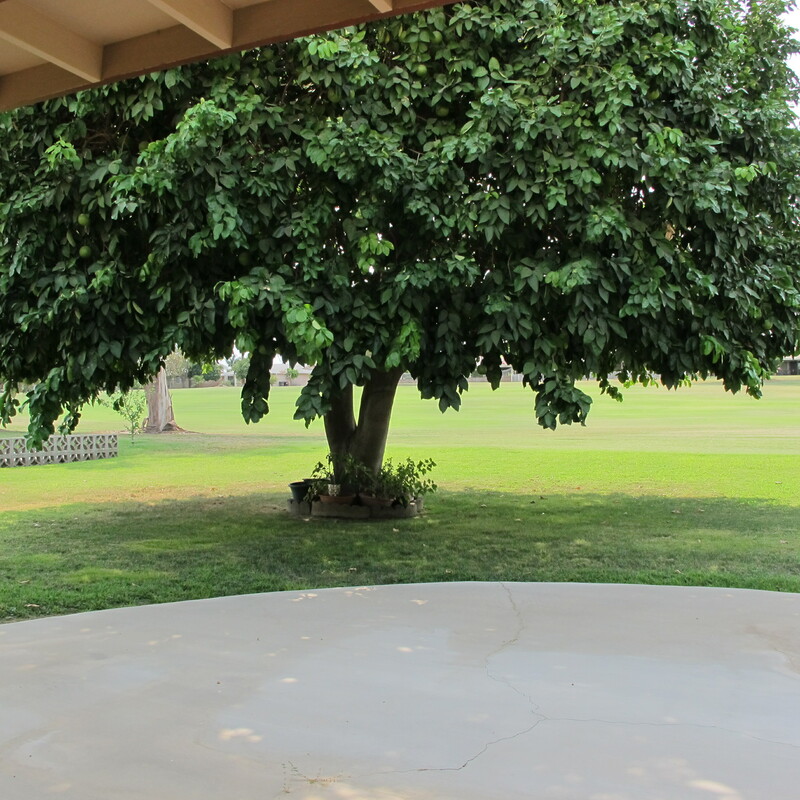 Covered patio in the shade of the grapefruit tree. Patio facing North West toward the golf course in the afternoon. 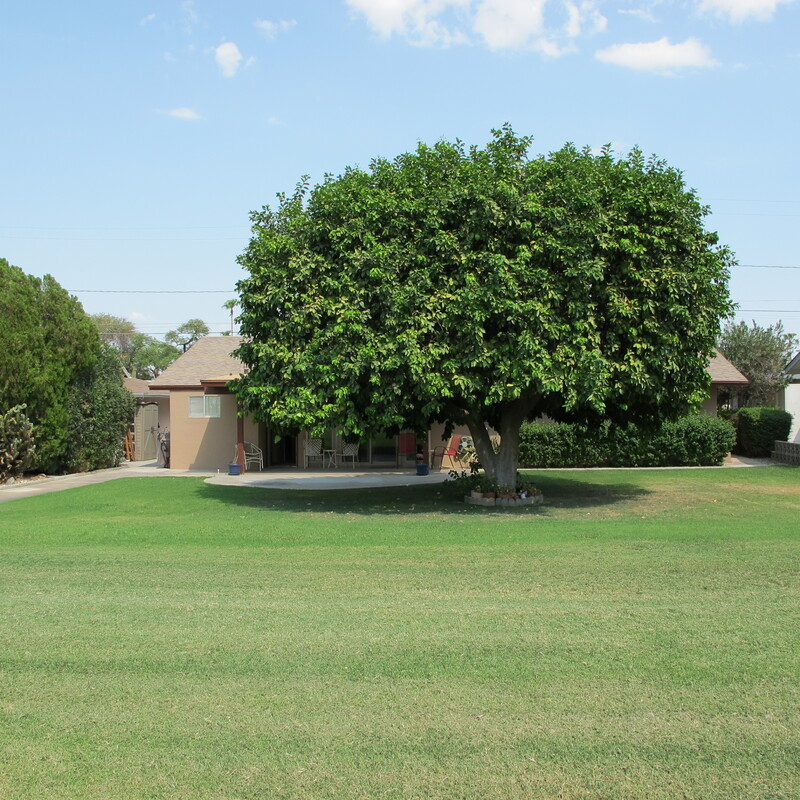 Back of the house, which is unfenced, as seen from the golf course in the afternoon. Covered back patio facing South West toward the neighbor and the golf course. 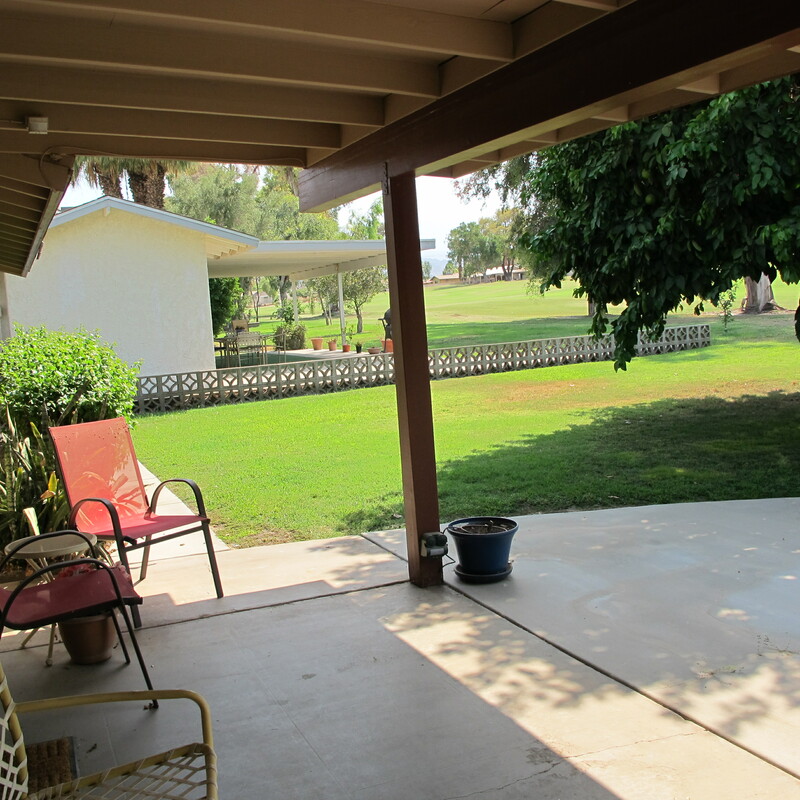 Back of the house and the covered patio as seen from the golf course. 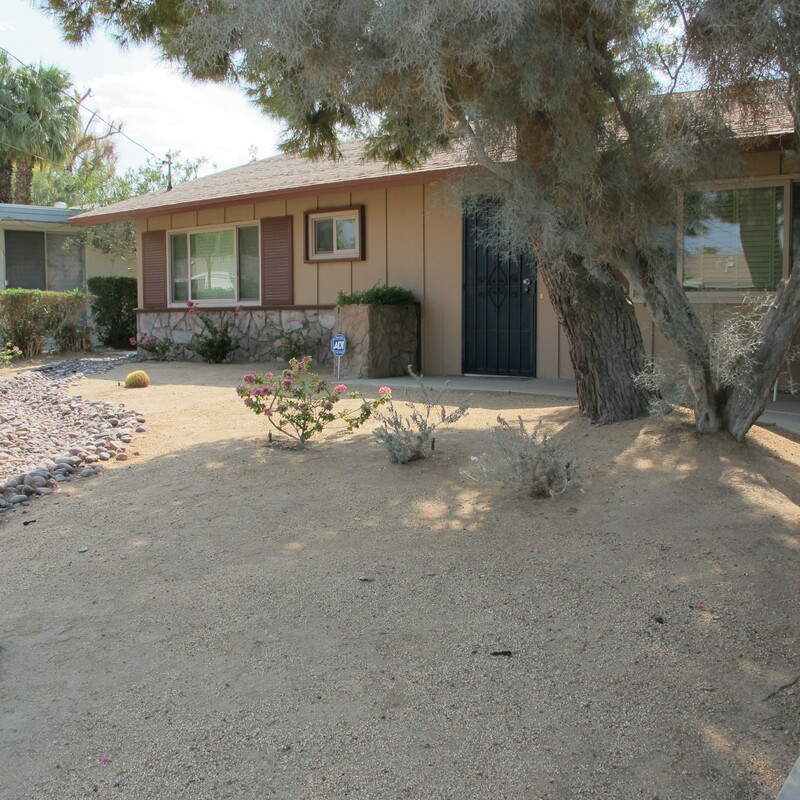 Front of the house with desert landscaping and another shade tree.